You think our clients look good? Wait till you see how put-together our process is. Simple. Smart. Practical. Fun. 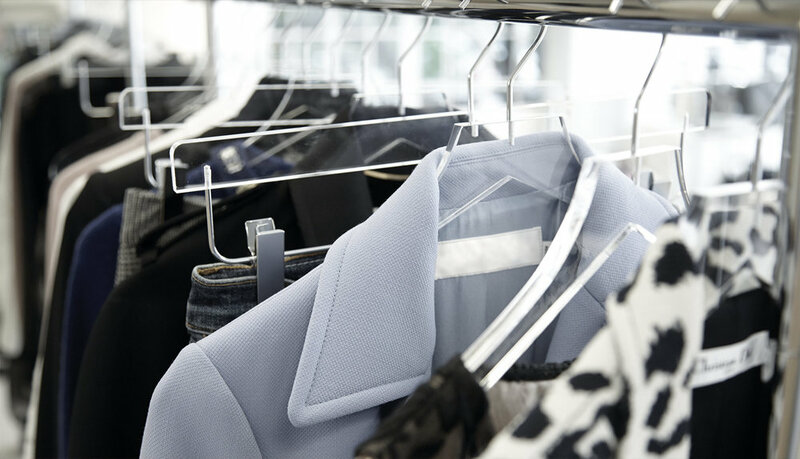 Closet Peek - We want to meet you and your closet in person. During this 90-minute session, we’ll identify the good and "not so good" pieces as we begin to re-build your wardrobe. We promise not to bring garbage cans or verbally abuse you over your decision to buy that orange tube top or ten pairs of identical khaki trousers. Quick Fix - During the Closet Peek we might come across great finds that can be whipped into outfits you never knew you had. One of our favorite things to do! We’ll make on the spot recommendations about ideal colors, styles for your body type, shoes, accessories and recommend other additions that can complete a brand new bonus ensemble. Recommendations and Package Selection - From here, we can decide together which package suits you best, or develop a custom program. If you want to select a package, we’ll apply your Closet Peek & Quick Fix fee toward the next phase (does not apply to Minimum Exposure package). If you’re not ready to go to the next phase, you'll be equipped with some smart guidelines and style options to fit your needs.